Love film but don't know how to analyse or discuss it? In this Guide, we give you the toolkit to identify and discuss those must know film techniques. Films take us on journeys; we become immersed in worlds beyond our own. The best films lead us to ask questions about our world as well as ourselves. However, sometimes it can be difficult to translate our reactions to film into meaningful English analysis. When filmmakers construct their films, they combine multiple techniques together to develop meaning. Film combines visual elements with auditory elements to develop meaning. To understand how the various techniques combine to create meaning, watch the following video we have put together that lists the techniques employed in various film scenes. The list below provides some of the key film techniques for writing about cinematic texts. There are a huge number of techniques that are used in films to convey meaning. Below are some of the must-know techniques that are included in the glossaries of Matrix English Theory Books. Canted (also known as a Dutch Angle)- Develops psychological unease or tension. A shot that marks the passage of time in a film. This is sometimes a series of newspaper headlines, a calendar, tress going through seasonal changes, or the hands turning on a clock. Animated GIF: This bridging shot marks the passing of evening. Note the fast turning of the clock hands and rapid melting of the candle. Colour, especially the choice of colour palette or scheme, can reflect the mood of the piece. Colour in a scene can also be enhanced through lighting. 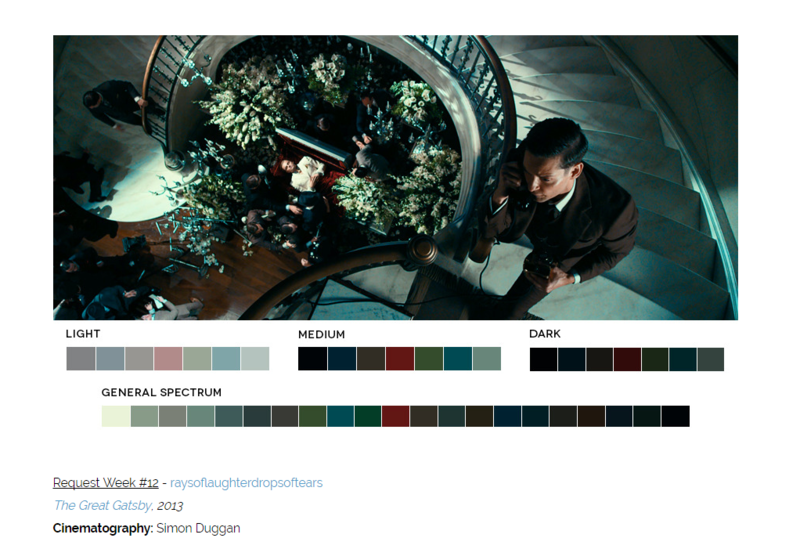 For example, in The Great Gatsby (2013), the use of a vibrant colour scheme reflects the opulent lifestyle of New York elites in the 1920s. You can learn more about colour symbolism at Studio Binder. 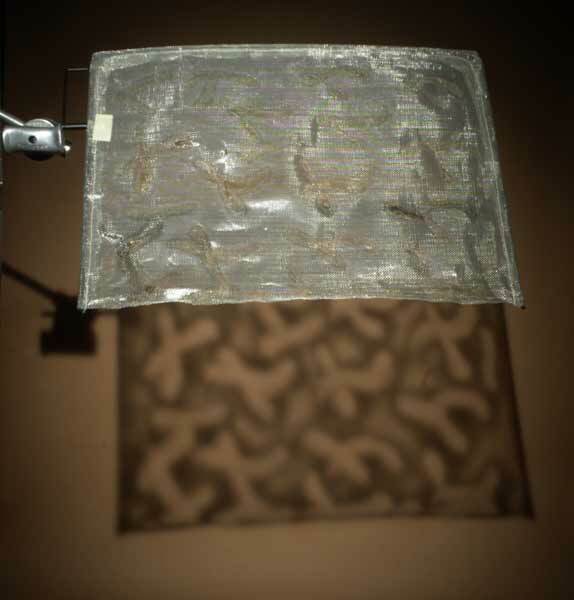 Cucoloris is a lighting technique where an object is placed between the light source and the subject in order to create a patterned shadow. A staple of film noir. Filter used for Cucloris. Image and device by Henry Nelson. Is an editing technique where actions are established as occurring at the same time. The camera will cut away from one action to another action elsewhere to suggest these things are occurring at the same moment. A conversation between two characters is called dialogue. Written by scriptwriters to convey the film’s plot, dialogue is also useful in conveying character. A transition that moves between one shot and another by overlaying one shot and fading the first image out while strengthening the second shot. This can denote daydreams, memories, the passing of time, or signify phone conversations and long-distance communication. Animated GIF: In this dissolve, we are taken to one of Larry “Doc” Sportello’s memories that are triggered during a phone call. A dolly is a wheeled cart that the camera and operator are seated on. A dolly shot is a shot where the dolly is pushed along to move with the action. This is similar to a tracking shot, but without the tracks so that the camera can have a broader range of motion. The video below discusses the difference between dolly shots and zooms and how they can be used (or even combined) to create effects and meaning. The order of each shot and how they have been put together to create a scene. This is usually based upon the storyboard used by the director. However, some directors such as Werner Herzog refused to use storyboards, and shoot many scenes which they edit together by trial and error. A type of extreme long-shot that establish the context – time and setting – of a scene or film. Often establishing shots use famous landmarks or places, like the Sydney Harbour Bridge. A type of cut where the shot of a character looking at something cuts to a shot of the thing they were looking at the same level. This type of cut is used to show the audience what they were looking at. An editing technique where the shot fades out from one shot going to black before fading into a new shot. Images that refer to previous events in the characters` lives. Flashbacks can be used to foreshadow future events. Text which is printed on a background and placed between filmed scenes through editing. 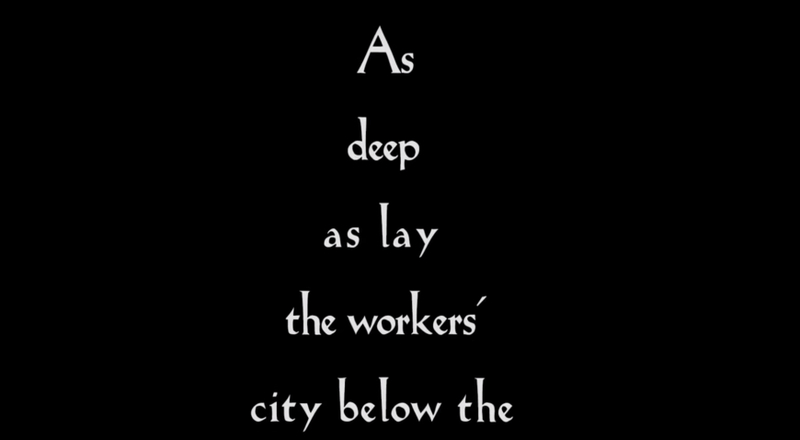 In silent films, intertitles can convey dialogue and exposition. Similar to other editing wipes, this is a type of transition where the screen irises closed around a particular thing on screen. These can be used to signify daydreams, provide a dramatic transition, or signify the end of a scene. A cut that moves fractionally forward in time. These shots focus on the same subject but either use a different angle or have the subject in a different position to illustrate that time has moved forward in time. Jump cuts are usually used to show time passing forward. Lighting contributes to the mood of a film and suggests interpretations of a character. Are they good? Are they nefarious? 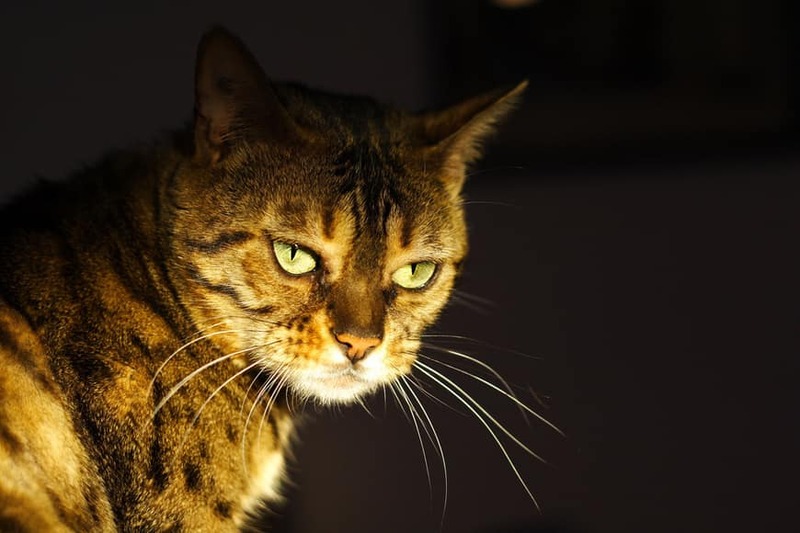 Low key lighting emphasises the shadows in a shot, while lighting from above or below can suggest that a character possesses sinister qualities. 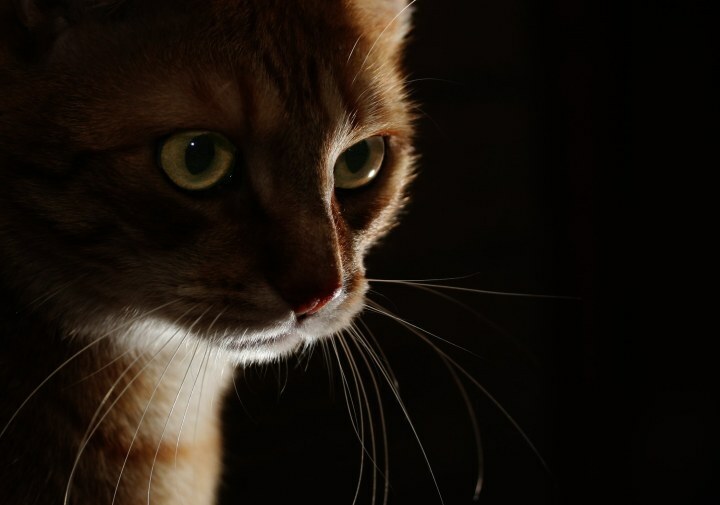 An example of a sinister cat lit from below. An example of shadows from Low Key Lighting. Jumps from one shot to another similar shot that matches the composition of the first shot. Mise en scène translates as ‘what is put into a scene’. This French expression refers to the composition of a scene, including placement of characters, costume, make–up and setting. A montage is a type of editing sequence where a series of shots play rapidly to create a narrative. Often a montage will be accompanied by a unifying piece of music to convey the dominant mood connected with the sequence. Mood refers to the feelings suggested by the combination of all the elements on the screen and the accompanying sound. Another way to refer to the mood is to discuss atmosphere. Music can convey the theme, mood and atmosphere. There are different types of music in films. The score is extra-diegetic music composed for the film, designed to evoke the film’s desired mood for the audience. Music heard by the characters in the film is called diegetic music. A type of sequence shot or tracking shot where the camera follows a character by following them and shooting over their shoulder. Like a Point of View shot, an over the shoulder shot focalises (that is, focuses in on) on the characters experience. Also referred to as a Long Take or Sequence Shot. A one-shot is actually a type of long-take or sequence shot where the effect of being one shot is created through editing. For example, Alejandro G. Iñárritu’s 2014 film, Birdman uses careful editing to give the appearance of a single take. In some cases, a one-shot is used to refer to whole films made in one take, such as the 2015 film German film, Victoria. A shot where the camera swivels horizontally around a fixed point to follow the subject. A shot that is taken from a character’s point of view, like a first-person video game. Point of View shots focalise (that is, focus in on) a character’s experience. A shot where the camera shifts the focus while holding the same shot to bring another object into focus. Rack shots change the depth of the shot. The example below is from the TV series Sherlock. In it, the focus shifts from Sherlock to Watson. Animated GIF: In this rack shot, the focus shifts from Sherlock in the foreground to Watson in the background. A unit of narrative used to divide up a dramatic text or film. A scene usually takes place in a single location and focuses on a single action in one moment of varying length. The place where the action of the film occurs. A sequence shot is a single long take shows a series of actions happening one after another within the same shot. Sequence shots are occasionally called long takes and one-shots. Sequence shots are very hard to do and can develop quite a lot of meaning. A famous example is Martin Scorses’s Copacabana shot from his 1990 film, Goodfellas. This shot illustrates the Henry Hills’ wealth and connections while he shows off to his date. This take combines over the shoulder and point of view perspectives. Shot types indicate how close or far the camera is from the characters. 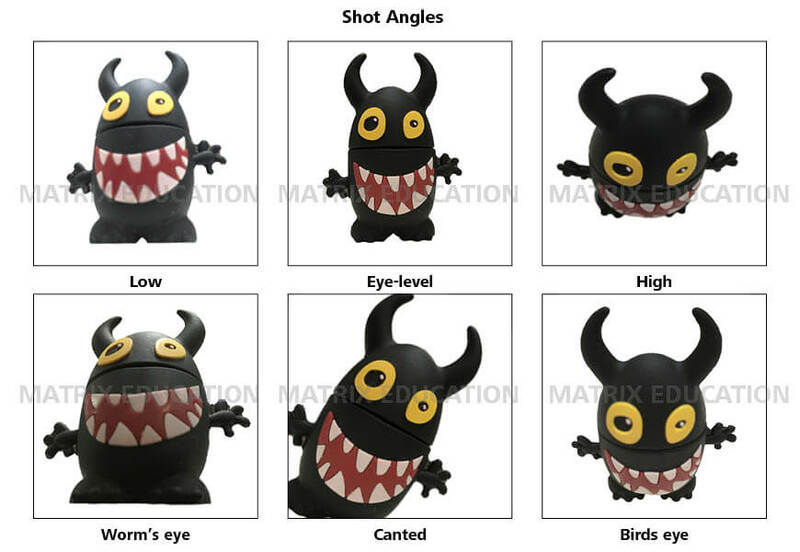 Shot types range from Extreme Long Shot (XLS), where the characters may be very small and embedded in a landscape, to Extreme Close Up (XCU), where part of the character’s face makes up the whole shot. An object used to suggest ideas in addition to, or beyond, their literal sense. For example, the glass slipper in Cinderella symbolises the opportunity that Cinderella has to live a different life. Watch films carefully to spot symbols and their potential meaning to the plot. If a symbol recurs throughout the film it is a motif. Animated GIF: This GIF is from Sam Mendes’ American Beauty (1999). The dancing plastic bag symbolises how beauty is found in things that are often discarded. The bag is rubbish to many, but its dance in the wind is beautiful. A type of camera that is used in action sequences. A steady cam rig allows the camera to be worn by the operator so they can follow an action sequence without the shot become overly jerky. A way to transition between shots. Transitions involve cuts, fades, and wipes (see above for specific definitions). This is a good video that explains these various techniques. When the camera tilts in shot to show the subject away from the horizontal axis. A shot that follows a subject as they move. A shot that features two characters and is used to establish or develop their relationship. The camera zooms in or out to focus on an object or to show how far away it is. Zooms can be used for dramatic effect or can be used to show objects in relation to each other for scale. See Dolly Shot above for a video discussing the difference between Zooms and Dolly shots. Use the Matrix Textual Analysis Planner to Analyse your English texts and produce insightful notes for your next assessment task. Download your FREE Textual Analysis Planner.